On Stiglitz, Joseph E. (2003). Globalization and its Discontents. New York: W.W. Norton & Company. There are at least two main reasons that past reformist approaches to IMF-imposed austerity measures, market deregulation, trade liberalization, and privatization—some of the core tenets of neoliberal globalization—have largely fizzled out. One is that institutions such as the IMF are thoroughly undemocratic, unrepresentative and accountable, just as they are maniacally ideological, unresponsive and thus resistant to change. Another is that some of the proposed reforms are almost worse than what is to be reformed—or they can seem that way with the passage of time. 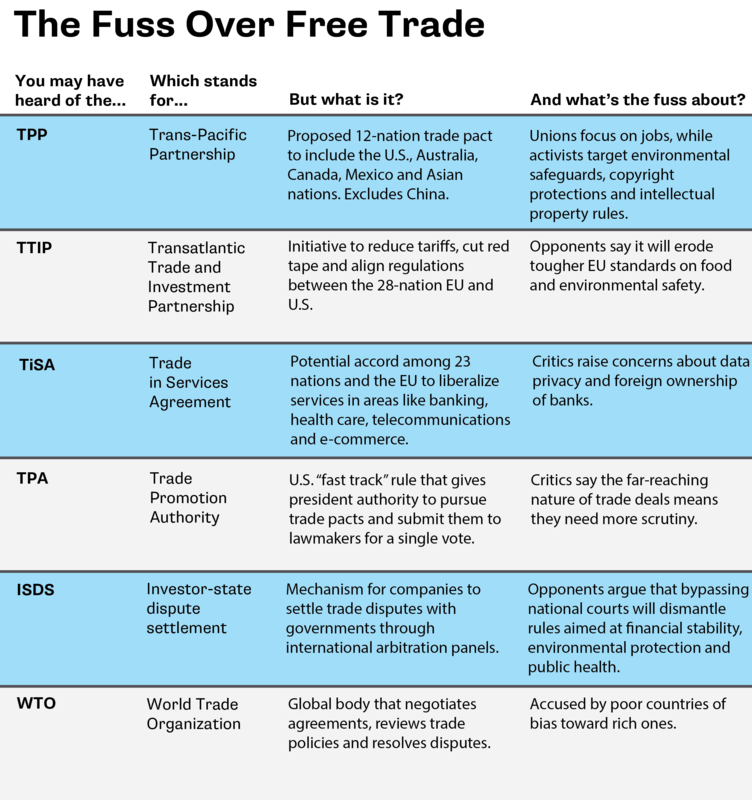 One example would be the proposition that if “free trade” has been unfair to the developing world (because it is not free when developed nations maintain subsidies, tariffs, and other domestic protections), then the best way to have fair trade is to make it free absolutely everywhere. What this now looks like is a generalization of misery—but it’s “fair” if it’s evenly spread. As massive job losses have swept the “developed world” in a rising tide of de-industrialization with the advent of a battery of free trade agreements, few remain who would call this a positive step forward. Re-reading Joseph E. Stiglitz’s Globalization and its Discontents in the present context (more than a decade since it was published), might provoke the realization that whatever chance there was for reforming neoliberal globalization, that time has passed. What Stiglitz calls globalization (what others call neoliberalism) was something that he saw as worth salvaging, even if acknowledging how vastly unfair, unequal, and ideologically-driven it has been. When it comes to matters of trade, austerity, and privatization, Stiglitz is scathing in his criticisms of the IMF, World Bank, and WTO. Speaking as an insider—as someone who served on president Bill Clinton’s Council of Economic Advisers, and then chief economist and senior vice president of the World Bank—Stiglitz amassed considerable knowledge of the workings of such institutions, but nonetheless maintained a certain level of faith in the benefits of globalization and held out hope for reform. On either front, the cautious optimism was unwarranted. “Most disappointing but least surprising was the response from the IMF. I had not expected the officials there to like the book, but I thought it might provoke them into a debate on the many issues that I raised. After promising to engage in a discussion on the substantive issues at a launch of the book at the World Bank on June 28, 2002—a discussion I had tried to generate, unsuccessfully, in my years working there—they decided to engage in an ad hominem attack, to the embarrassment not only of the economists at the World Bank who had come to see real engagement but also to IMF staffers who attended. The IMF attack gave those who were there a chance to see firsthand the IMF’s arrogance and disdain for people who disagree with its perspectives. The IMF’s unwillingness to engage in meaningful discussions is something many people in developing countries have seen. For those involved in making the arrangements for the forum—in which the Fund had repeatedly given assurances that it was to be a discussion of substance—it provided another instance of that institution’s duplicity. So did its approach to the press: after asking that the discussion be off the record (I believe that such meetings should be on the record, but in the hopes that it might facilitate greater openness I deferred to their conditions), the minute the session was over, the IMF faxed and e-mailed the remarks of their chief economist, Kenneth Rogoff, to the press. They chose to include neither my remarks, those of the World Bank’s chief economist, nor those of the commentators who followed. Rogoff’s remarks were described by the IMF as an ‘open letter,’ which was itself a sham: the letter was certainly never received by me and almost surely was never sent to me. What the IMF basically tried to do was shoot the messenger and then call a press conference to announce what they had done”. “it showed the general public what they [the IMF] are often like to deal with. Rather than engaging in an open discussion of the issues, they lied about their intentions and then tried to convert the discussion into a one-sided ad hominem attack mixing innuendo and mischaracterization. There could be no better illustration of the points I had made in the book about the Fund’s high-handedness” (2003, p. 258). Kenneth Rogoff’s “Open Letter” is still available online from the IMF’s website. Stiglitz’s characterization of the “letter” is quite accurate. In that piece Rogoff, an economic counsellor and director of research at the IMF, addresses Stiglitz personally: “Your ideas are at best highly controversial, at worst, snake oil”. Rogoff accuses Stiglitz of being somehow arrogant: “Unlike you, I am humbled by the World Bank and IMF staff I meet each day”. He accuses Stiglitz of outright “slander”. Speaking for the IMF, Rogoff claims that Stiglitz’s lessons were “old hat”—which is only a testament to how long the IMF ignored criticisms. The rest of the piece is incessantly belittling, smug, and defamatory. And all of this was directed against a colleague, an insider—just imagine how little they think of the rest of the planet, virtually up in arms at decades of severe punishment doled out as “structural adjustment”. No wonder then that these same established elites, these entrenched interests and encrusted aristocrats of the dollar, are in such a deep-fried panic over the swelling mass of increasingly more extreme political opposition movements sweeping Europe and now the US itself. The stifling ideological stasis that persists while the rhetoric of orthodoxy is ratcheted up, along with the redoubled efforts to impose more free trade agreements (as ever, negotiated in secret), if anything these serve to increase polarization. With each month that passes where the status quo is defended (more desperately now than ever), the more extreme political options become that much more attractive to greater numbers—whether in Greece, Germany, France, the UK, or the US. It’s true to say that neoliberalism is capitalism, and that ending neoliberalism does not end capitalism. Indeed, some of the most vocal opponents of neoliberalism today, are staunchly capitalist—but it’s capitalism with state regulation and social welfare, or state capitalism (that is sometimes confused with socialism). Even that would be an improvement over the current system—demonstrably so too, as unemployment increases, real incomes stagnate or decline, wealth inequalities have surpassed historic extremes, debt crises mount, and even life expectancy rates have begun to shrink in large demographic sectors. As presented elsewhere, neoliberalism has been a spectacular failure in achieving even its own goals, on its own stated terms. For example, the graph below demonstrates that in the case of per capita GDP growth–the kind of measure so valued by neoliberal economists–there has been a steady drop from the period when worldwide import-substituting industrialization strategies were dominant, when national markets were protected and trade barriers were high, to the period when free trade agreements became dominant and pervasive. There is now a certain level of justifiable immediacy in wanting to see the quickest possible termination of at least neoliberalism. The second reason to be skeptical comes out of Stiglitz’s own endorsement of really free trade everywhere (pp. 244-245), when he has not made the case that it should be free anywhere, and his endorsement of continued globalization—as if it were inevitable, unchangeable, and somehow sacrosanct—is just as questionable. Stiglitz calls for more “gradual” processes of globalized change, allowing more time for “traditional institutions and norms” to “adapt and respond” to the “new challenges” (2003, p. 247). I’m sorry: who says we must be forced to confront these so-called “new challenges” and where do these “challenges” come from, who benefits from them, who imposes them? Why must we always be placed in the subordinate and reactive position of merely adapting and responding to the dictates of others? Rather than make globalization more palatable, Stiglitz succeeds in making it more objectionable as a forced medicine. This article was translated into French and published on Wikileaks Actu Francophone as, “Sur Joseph E. Stiglitz (2003), La Mondialisation et ses mécontents, New York: W.W. Norton & Company,” 23 May, 2016. In the context of “Brexit”, it seems to me that we have an opportunity to challenge the neo-libs, even if too many of its champions are untrustworthy , even egregious “free marketeers” themselves. The IMF has, predictably, backed the Remain camp, so that , given its shameful approach as indicated here, that alone could be a reason to back brexit. However unappealing a Trump may be over all, it seems that he has struck a chord in the US, where millions of ordinary people have finally seen through the deceits of the Washington establishment. In several European countries, there is a similar reaction , provisionally captured by Right-wing populists, but perhaps eventually capable of becoming a deeper critique with positive proposals for democratic discussion. Again, somewhat on the lines of Sanders. The “globalisation” of cultures has proceeded at an accelerating pace, roughly since Walt Disney, it seems to me, partly due to technological advances which have facilitated a relentless bombardment of , especially,young people around the world. Merely “folk” responses to this cannot be enough, yet once a culture is undermined beyond a certain point, there may be no future for it. What’s to be done ?